Click to visit the relevant download page. Make sure you download the right product before following the Windows or Mac installation instructions, below. 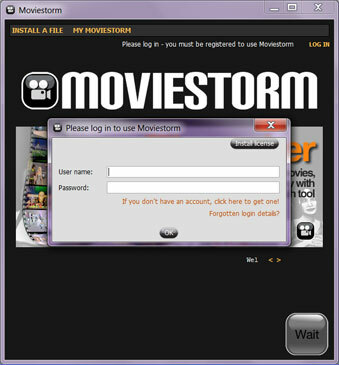 The Moviestorm Installer for Windows will start to download automatically in a few seconds. Save the file to a suitable folder (Right). Open the downloaded .exe to initiate the Setup Wizard. Select your installation preferences, as appropriate. 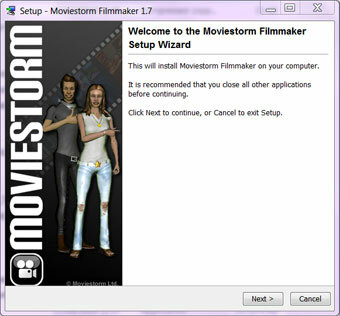 Moviestorm will then start to install. When completed, you may review the Release Notes. N.B. 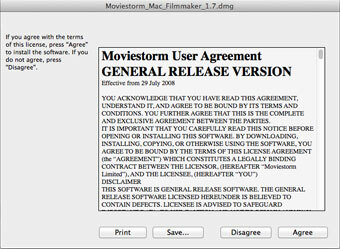 Vista & Windows 7 users will need to 'Allow' the Moviestorm installation process. The Moviestorm Launcher should automatically start up. If you do not have an account, follow the link and register (you will need to verify your email address). Return to the Launcher and complete your login. 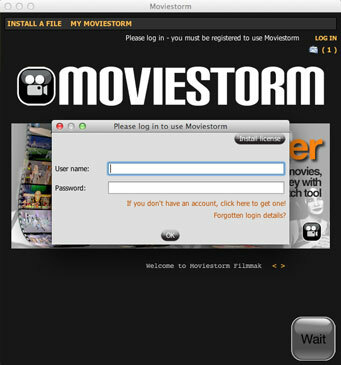 The Launcher will automatically download all files required to run Moviestorm. When downloading is complete, click Start. 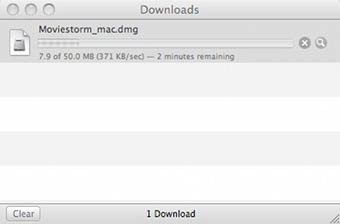 The Moviestorm Installer for Mac OS will start to download automatically in a few seconds. Open the downloaded .dmg to initiate the Setup Wizard. 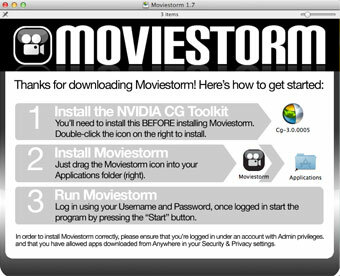 Follow the instructions to install the nVidia Cg Toolkit and the Moviestorm application. Go to the Applications folder and double-click the Moviestorm.app file.